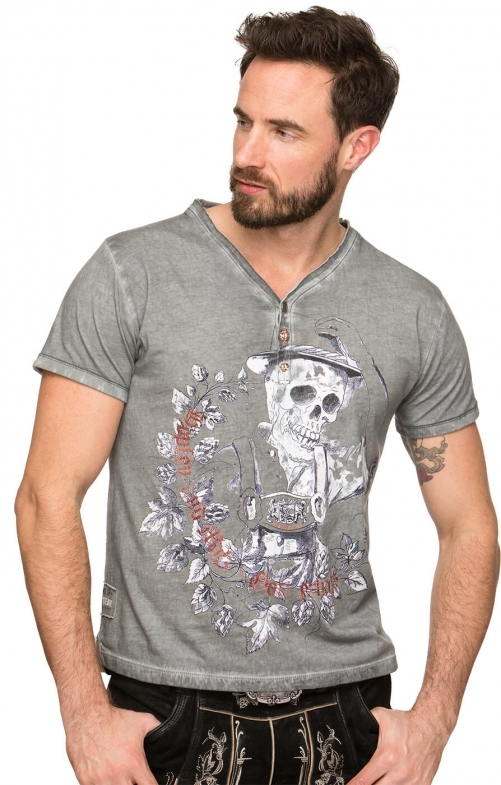 Dark men’s grey T-shirt with white skull print. Meet Oskar, the traditional German T-shirt in stone grey with a message from the other side. This striking straight-cut T-shirt is hair-raisingly quirky. Made of 100% cotton with a weathered look and a whimsical Bavarian skeleton print, it’s bound to make a lasting impression. It also features a V-neckline with uncut hem fastened by three buttons, one metal and two deer-horn buttons.